The After Midnight show, broadcast from 12am to 3am and presented by Janice Long and Alex Lester, will be replaced on weekdays with re-runs of earlier Radio 2 programmes. On weekends the slot will be filled by pre-recorded broadcasts from presenters Huey Morgan and Bob Harris. From 3am to 5am, music will play out from recorded Radio 2 playlists. 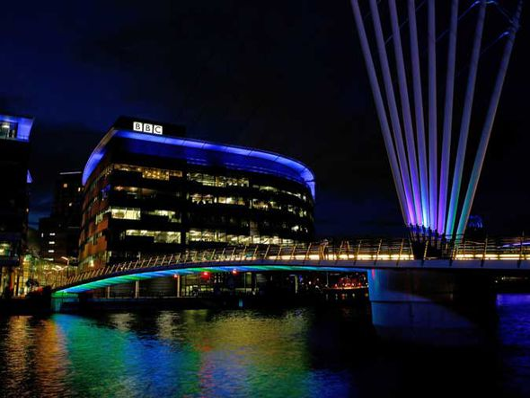 BBC bosses claim the changes to the schedule will reduce costs in the overnight slot by around 40 per cent. The After Midnight show currently attracts 328,000 listeners a week. Lewis Carnie, Head of Radio 2, said: “The station has had to make extremely tough decisions to reduce programming costs in order to make savings in line with the rest of the BBC. “As a relatively small percentage of our audience listens to Radio 2 through the night, changes need to be made to ensure that our programming spend reaches the most listeners. “I’d like to thank both Janice Long and Alex Lester for their contributions to the programme.” He added that both Long and Lester would continue to broadcast on BBC Radio. However, listeners expressed their anger at the decision through social media. On Twitter, musician Ian Prowse said: “We need human DJs, not machines.” He has set up a Change.org petition to reinstate Long and Lester to the overnight show. Janice Long has been on the “overnights” since 2000, starting out from midnight till 2am then moving to the After Midnight show four days a week, Monday to Thursday, when it was launched in 2014. Alex, who has been broadcasting on Radio 2 for 30 years, presented the show from Friday to Sunday. He gained the nickname the Dark Lord after he took over the early morning show in 1990.